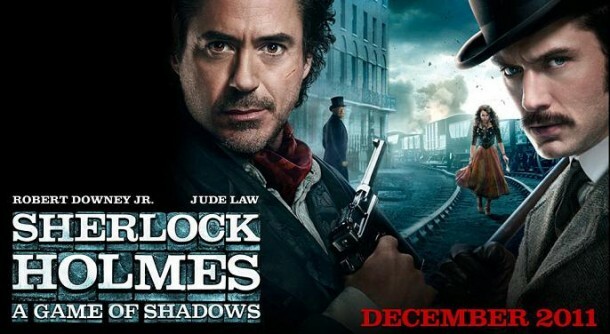 One word summary: the money was well-spent watching Sherlock Holmes, A Game of Shadows. Arguably one of the most anticipated sequels in recent history, I was a bit apprehensive that this movie will not live up to expectations. After all, its predecessor was so good and a runaway financial hit and it is quite hard to top it. And, you have to consider the “sophomore jinx” that hounds all sophomore efforts – be it a musical album or a movie, there is always that something that is lost between the first and its sequel. To cut it short, it is simply rare to top the first. But is that what this movie accomplished? Hard to tell so let’s just say it’s as good as the first one. Story – wise, I find it as riveting, if not more so, as the first. Loosely based on the novel, The Final Problem, this movie tells of the dangerous game being played by Sherlock Holmes and his arch-nemesis, Professor Moriarty, a man in whom Holmes meets his intellectual match. Moriarty, using his powerful alliances and his genius, plans to start a world war and reap the profits by taking control of the biggest arms dealers and supplying weapons to all parties who will be involved in the war. This plan is meticulously executed through a series of seemingly unrelated deaths, business acquisitions and partnerships that no one takes notice of, except for Holmes, who presumably goes on a personal mission against Moriarty to set his beloved Irene Adler free from him. 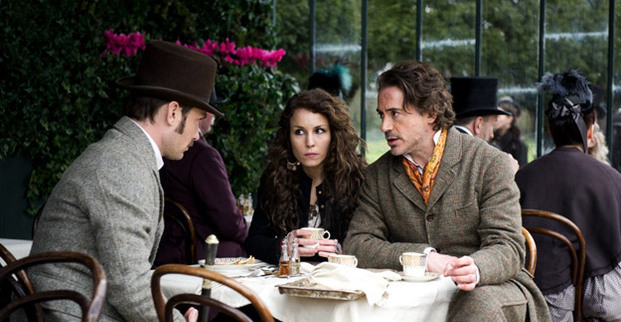 Men would love the explosions (the story is, after all, involving arms trade) and the comedic antics of Robert Downey Jr. as he brings to life a version of Holmes that is rarely seen: a genius bordering on lunacy but more funny than somber. A lot of critics disagree with this portrayal, saying that Downey has degraded a beloved character; but I must say, I find his portrayal quite a refreshing change. Either way, we don’t really have a basis for concluding that Holmes was a serious fellow other than that his previous reincarnations depicted him as such; in the books, while there were no comedic lines, I did find him as hilarious as in the movies, delivering one witty line after another in such serious manner that you can’t help but laugh. 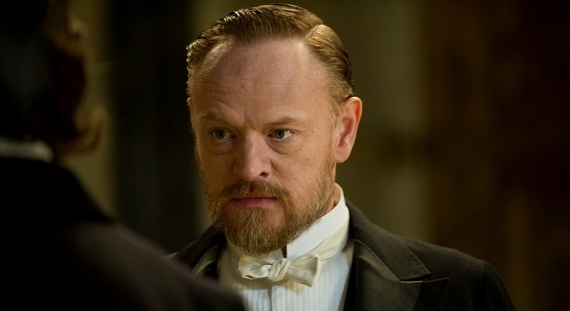 What remains the biggest draw of this movie are the leads: Holmes and his faithful comrade, Dr. Watson. All the previous portrayals of Watson have reduced his character to that of sidekick, a comic relief as opposed to Holmes’ somber demeanor and being played in entirely the opposite way by Jude Law in this movie is a worthy redemption of Watson. I had never thought of him as less than an equal to Holmes; in fact, I don’t think Holmes would have survived as long as he had if not for his friend, Dr. Watson, who, we must remember, was an accomplished doctor, a war veteran, and a sharpshooter, the latter probably the reason why Holmes brings him along on more adventurous missions that involve the use of guns. I admire the fact that while this movie is about Holmes, there is no tug-of-war between the two leads and both are given enough screen time and importance as befits partners. Watson’s expression, again, when he receives the package containing the oxygen mask from an unknown sender, immediately realizing that Holmes was in fact, alive. 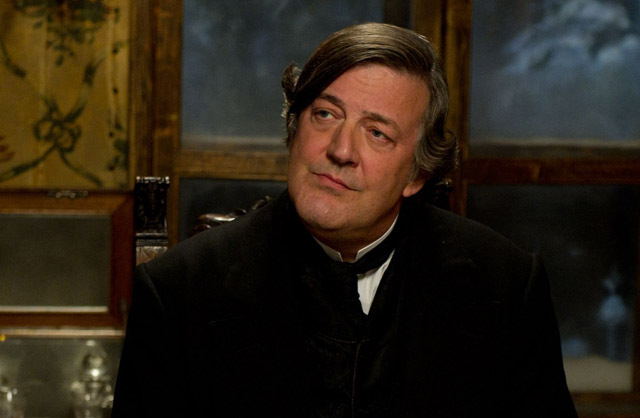 However, while Moriarty was played well by Jared Harris, I find Mark Strong’s Lord Blackwood as a more compelling villain and I find Stephen Fry as Mycroft Holmes a rather ill-fit. I can’t quite put my finger to it but I didn’t find any spark of brilliance emanating from him, when Mycroft was supposedly more adept at mind games than Sherlock and this aspect was not fully explored in the movie. Same with Noomie Rapace, who played Simza, a gypsy whose brother was recruited by Moriarty to become his assassin. I find her acting rather distracting. Perhaps my biggest disappointment though, is the death of Irene Adler (sorry for the big spoiler). 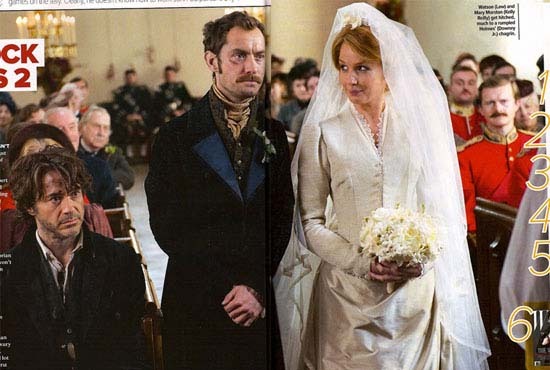 I wasn’t expecting it – I know she didn’t have a very large part in the Sherlock Holmes universe, but I know she didn’t die; she in fact got married happily, a sort of the woman who got away for Holmes and to see her wasted like this (well, not really wasted; her death proved a motivation for Sherlock to defeat Moriarty) is kind of sad.